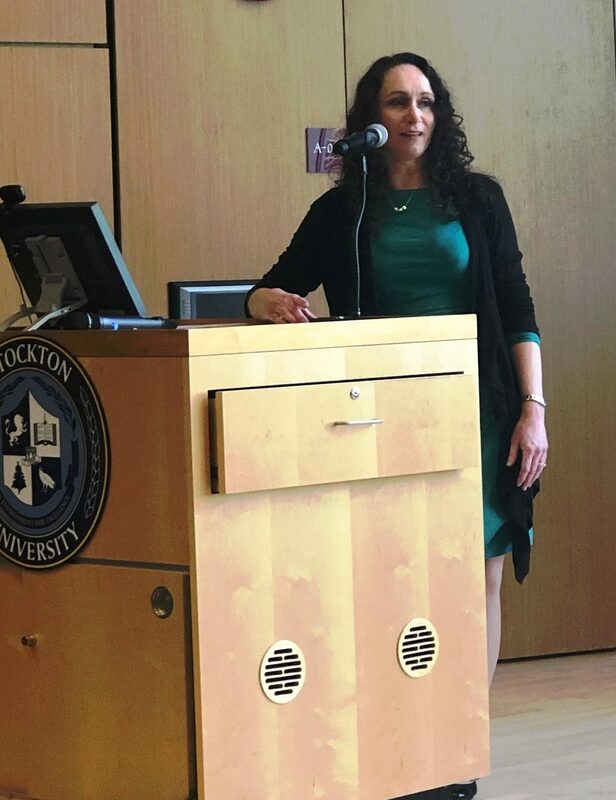 Jennifer Brooks, PT, DPT, gave the keynote address at the Stockton University Doctor of Physical Therapy Program “Commitment to the Profession Ceremony” April 3, 2019. The class of 2020 includes 31 candidates, all of whom are about to embark on their first of three clinical experiences. The ceremony marks the half-way point in the students’ journey toward receiving a doctoral degree and sitting for the physical therapy boards. It is also the point at which they are no longer solely learning in the classroom, as they make a symbolic and verbal commitment to the profession of physical therapy and to their future patients. Jennifer earned her BS and her MPT at the University of Scranton, but returned to school at Stockton University to complete her training as a Doctor of Physical Therapy in 2016. Jennifer has worked at Bacharach since 2017, is certified in lymphedema management via the Lymphology Association of North America, and has 20 years of oncology rehabilitation experience. Her keynote presentation focused on concepts of resilience in professional practice. Jennifer noted that healthcare professionals, including physical therapists, while quite dedicated to caring for their patients, may neglect themselves. She directed them to a self-care concept developed by a physician, Dr. Laura Vater, called TheSmileScore.com. The “SMILE” mnemonic reminds healthcare professionals to sleep, move, inhale, love, and eat well every day, so that they can be at their best in caring for others.